Mihiripenna Beach in Sri Lanka. This place was an absolute paradise. 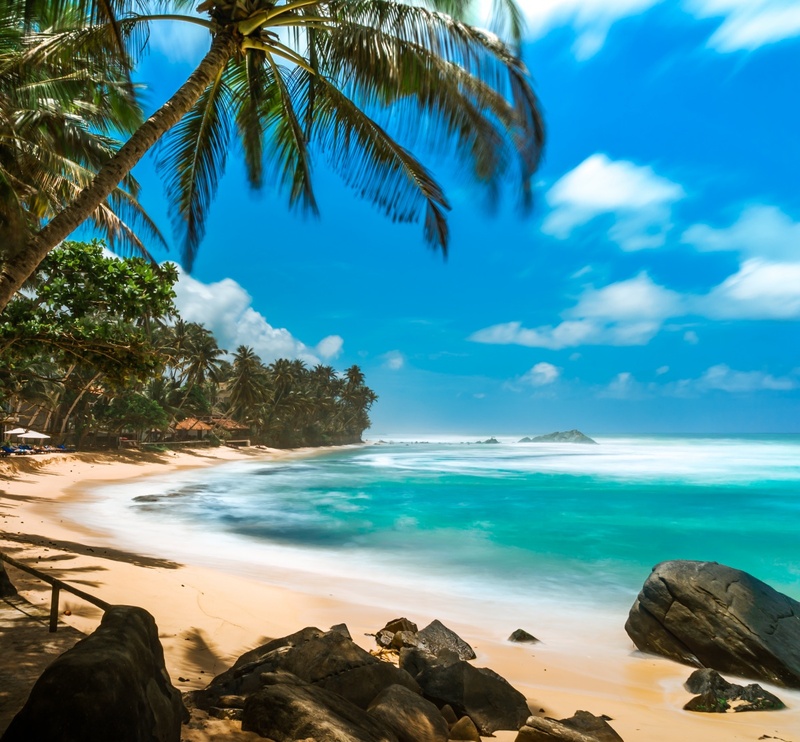 Mihiripenna is located near Unawatuna in southern Sri Lanka and is easily accessible by taxi from nearby areas. It’s not so crowded as nearby beaches although there is some accommodation in the area. It’s absolutely beautiful though so be sure to book in advance because otherwise you might have to stay in some less appealing place. Be aware that you have to be there on season to see it in the most beautiful state. The best time to visit is roughly from December to April even though the weather can be nice outside the season as well.